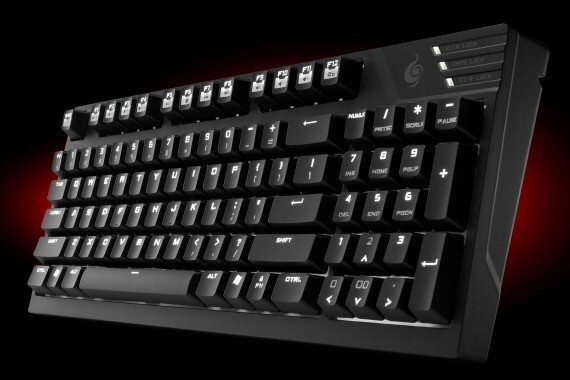 Cooler Master has recently announced its latest gaming keyboard in addition to their CM Storm lineup. This new mechanical gaming keyboard is the successor and upgraded version of the QuickFire series, the CM Storm QuickFire TK Mechanical Gaming Keyboard. 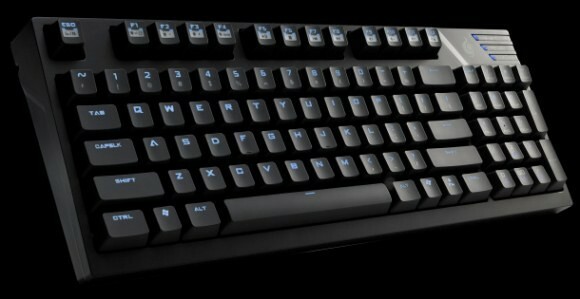 The new QuickFire TK features a compact and steel-reinforced body, and a fully backlit keys. Like the QuickFire Rapid, the QuickFire TK is lightweight and compact but it features a complete NumPad block, replacing the arrow keys and navigation button. Where are the keys now? It’s integrated with the NumPad keys and can be easily switched between Game mode and Numpad mode. UPDATE: This compact mechanical gaming keyboard is now available. See details below and where to buy. If you look at the picture above, the QuickFire TK looks similar to QuickFire Pro but features full backlit keys with 5 level of brightness . The QuickFire TK also features 7 multimedia shortcuts located in the function keys, a win-lock key, and a function key lock. The CM Storm QuickFire TK has NKRO over USB and comes in three different Cherry MX Switches (Red, Blue, Brown). The keys are laser etched like in the CM Storm Trigger, and are embedded with steel plate for maximum stability. Like it’s predecessors, it also has a detachable braided USB cable with a three-way cable management path. The CM Storm QuickFire TK price may vary depending on region and official MSRP is not yet disclosed. It will be available starting Q4 of 2012 on major online stores like Newegg or Amazon and other local computer stores worldwide. I’ll update this post once this mechanical gaming keyboard is available. UPDATE: The QuickFire TK is priced locally, in Philippines at around Php 4,000. Price may vary depending on the seller. You can also buy it online, you can get the TK in the following links below.